Ouch! Nomzamo’s Cold Claps Back At Twitter Troll! 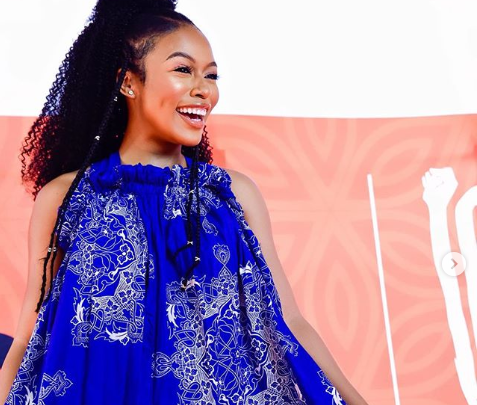 Nomzamo Mbatha stopped being humble to her troll a while ago and we can’t blame her for clapping back that hard. One twitter troll recently tried to shade the star about how she laughs in every photo. 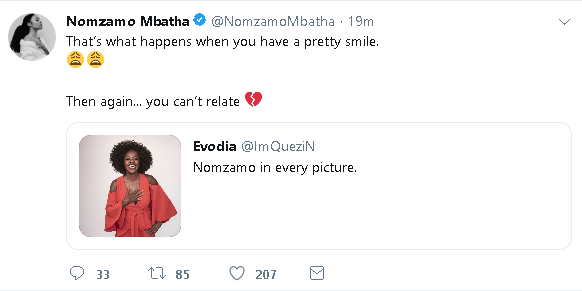 The troll used Viola Davis as the meme but Nomzamo had the best clap back. ‘That’s what happen when you have a pretty smile. Then again… you can’t relate,” Nomzamo tweeted.